How do you want to travel? Sometimes we choose to improve our hotel reservations by changing the accommodation type we had originally contracted. Making an upgrade can sometimes become a long and winding road that ends up discouraging us. At Mac Puerto Marina Hotel we want to make things easy for you. 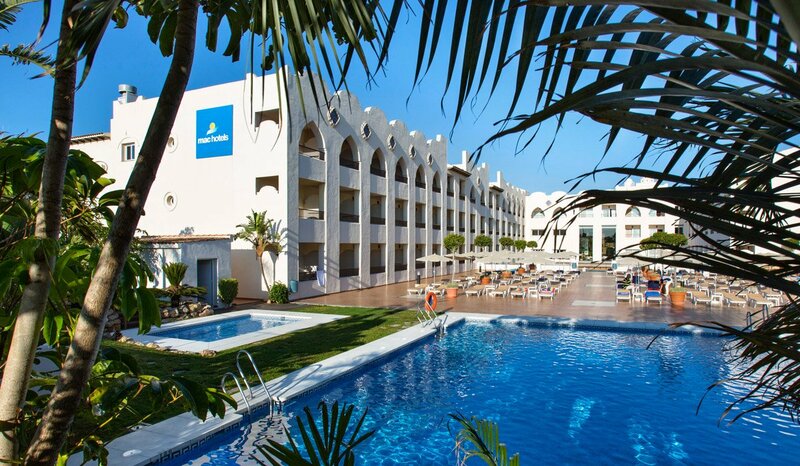 We offer you all the facilities of a hotel in Benalmádena when making changes to your reservations. 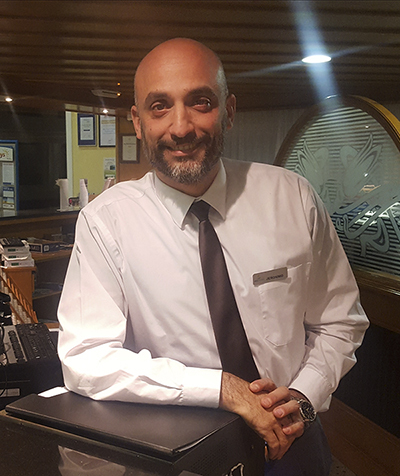 Therefore, we have interviewed Jerónimo Carmona, our head of reception, who explains the main tips for an upgrade at the Hotel Mac Puerto Marina. Can you tell us what the steps are for an upgrade at the Hotel Mac Puerto Marina? If a client wants to increase the accommodation type, for example, from bed and breakfast to half board, the first thing to do is contact the hotel reception service. From there we process your request. Clients who choose to increase their rate will be able to enjoy breakfast and dinner during their stay at the hotel, depending on the board type they choose. Thus, a guest who had only booked room only, can upgrade to bed and breakfast, or half board, which includes breakfast and dinner. The only requirement that you must take into account is that the change is permanent, that is, it applies throughout the guest’s whole stay at the hotel. Once at the hotel, can a guest make an upgrade? Yes. Whether you have made your reservation with us, or through a tour operator. The only thing that guests have to do is contact us directly to make the change. It depends on the type of accommodation and board type that has been reserved initially and the type of upgrade that is made. There are different prices, although none exceeds € 12.50 per person per day. In the case of cancellation, is the money refunded? If in the end the guest does not want to make an upgrade, the amount paid will be refunded. Contact our reception team to make any changes that you need to all your reservations and enjoy exclusive accommodation with quality services on the beachfront in Benalmádena. I am bringing 14 golfers to your hotel from 5th-8th March 2019 via ‘Your Golf Travel’. Can I have my room upgraded for free as a thank you? We are very much looking forward to your visit to our hotel. Please contact us through at bookingpm@mac-hotels.com for more information on your reservation and possible upgrades.